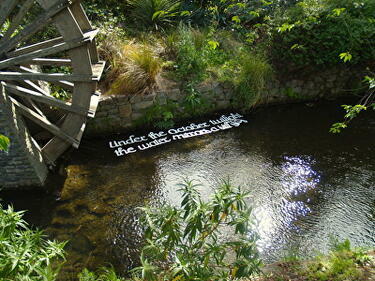 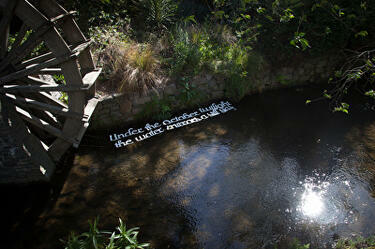 A photograph of chalk writing on a footpath next to the Avon River, as part of Emerge Poetica #5. 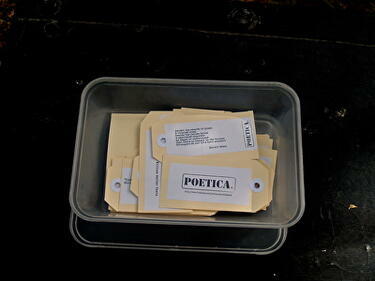 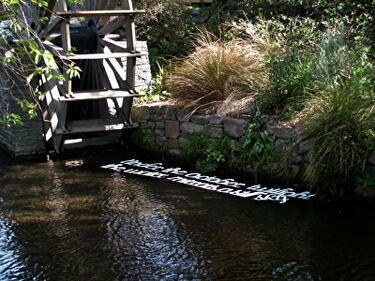 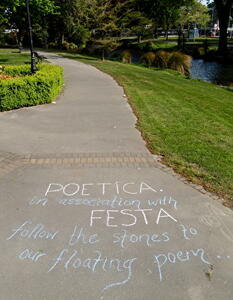 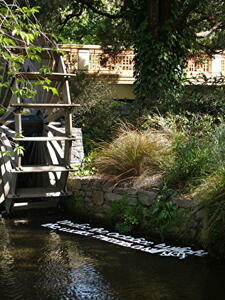 The text reads 'Poetica in association with FESTA, follow the stones to our floating poem..' The project was part of FESTA 2014 and included water calligraphy workshops and poetry readings. 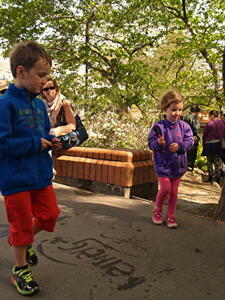 A photograph of children participating in a water calligraphy workshop as part of Emerge Poetica project. 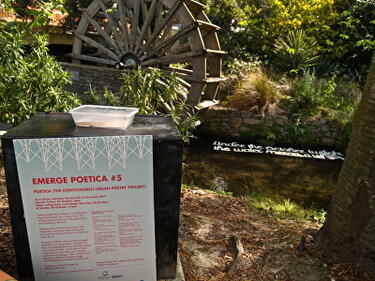 This event was part of FESTA 2014 and included a floating poetry installation on the Avon River.